Chocolate! Yes, this is the item for Chocolate Covered Boyne, a two-day celebration in Boyne City, Michigan. Here's what is in store for this sweet weekend! 52 Weekends 14% off store wide on all non-sale merchandise. 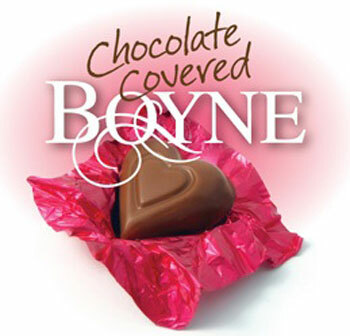 Enter to win a Chocolate Covered Boyne gift basket, and enjoy delicious chocolate treats. More in store savings Feb 14-15. Boyne Co-op 30% off Carhartt Gloves & Socks and 20% off Yooper Chooks & Stormy Kromers (sales apply to in-stock merchandise only). We will also have free Dog Treats! Peninsula Shop our sale items (most of the store) 30-70% off!